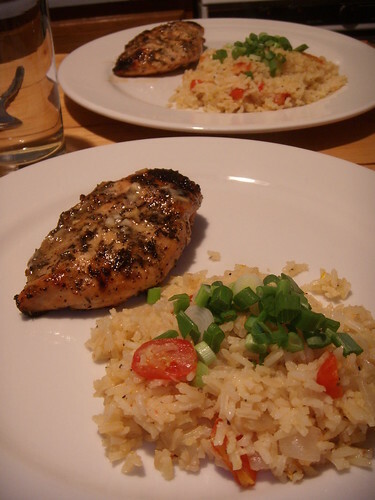 grilled chicken with thyme and hearty saffron rice, originally uploaded by aarn! +3rd June, 2008+. thyme and garlic smeared chicken, grilled to perfection, served with a cracked jasmati with onions, saffron, a touch of cumin, and some tomatoes.